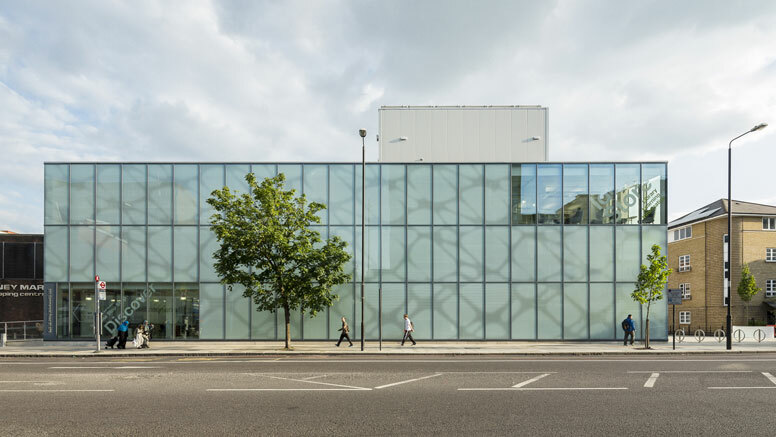 Watney Market Idea Store is a building designed to deliver a vibrant mixture of library, information, learning and community services. 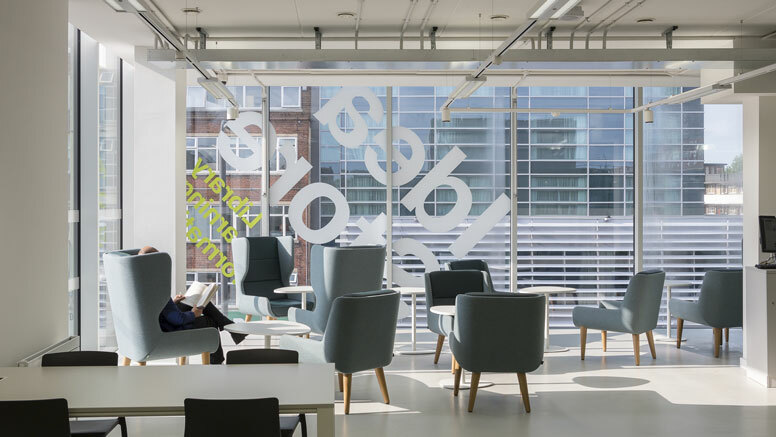 Bisset Adams worked with Tower Hamlets Council to design the Idea brand in 1999, an innovative transformation of the council’s library services into a rich mix of information, learning and library services. The Idea brand is about empowerment – everyone has Ideas and ideas can change your life for the better. 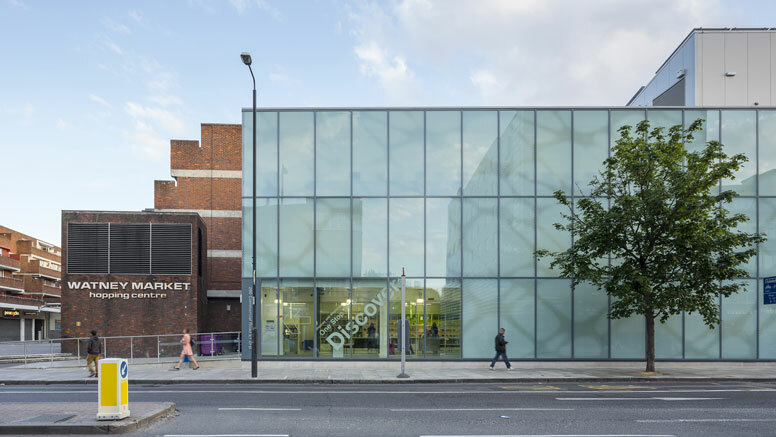 Bisset Adams was architect on the pilot site in Bow, and is now architect of the new Idea Store in Watney Market, the first of a new generation of Idea Stores as a ‘marketplace of information’. 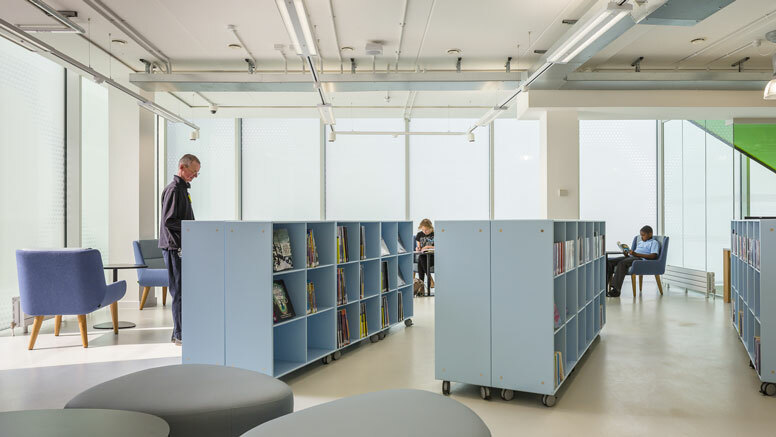 Based on three floors, the library is based on the concept of a ‘marketplace of information’ with the library and council services as well as a range of partners for the council, offering services with the aim of providing benefits for the local people targeted in the areas of health and employment. 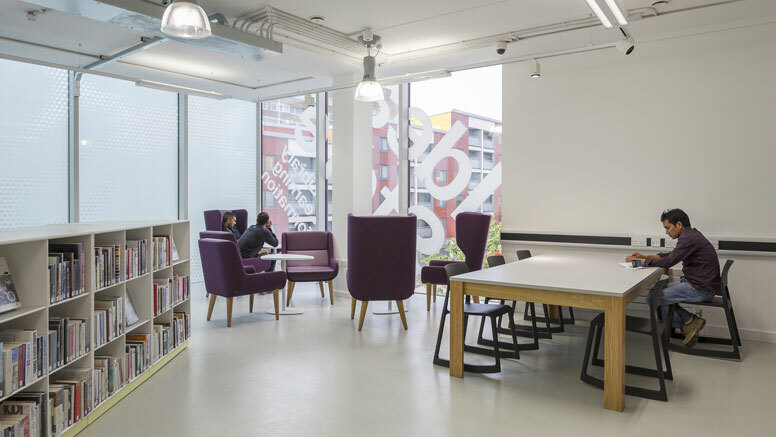 The new £4.5 million Idea Store, which is jointly funded with the Big Lottery Fund, will include an integrated One Stop Shop where residents can access services, as well as space for adult and family learning. 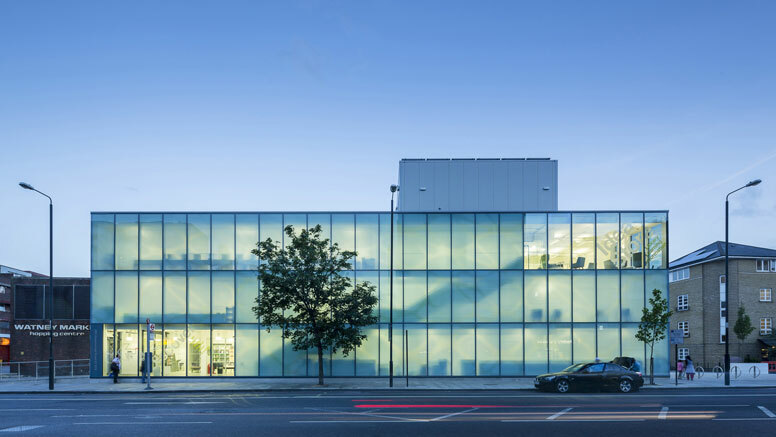 The building is designed as an accessible and highly visible centre for the community. 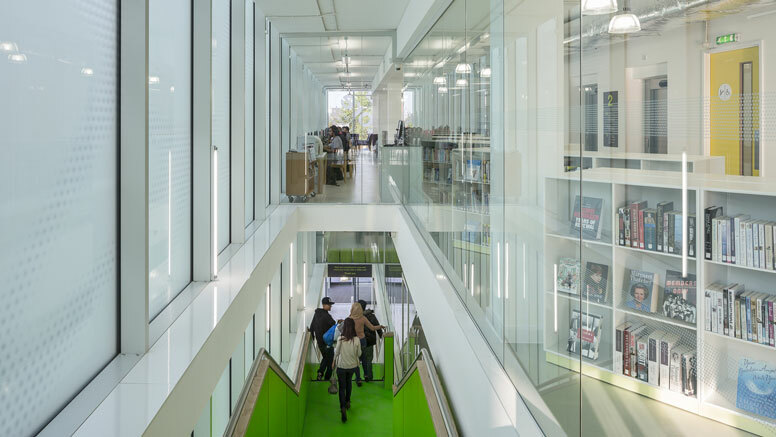 Its most striking feature, a landmark high performance translucent façade and green staircase visible externally, invites visitors to the upper floors within the library. 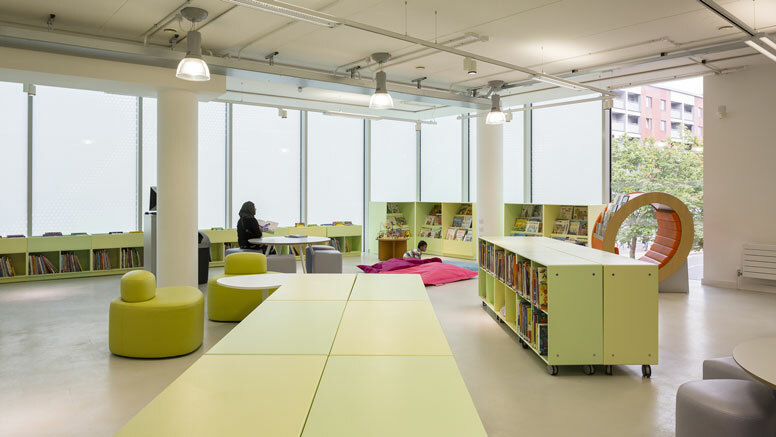 The effect is a highly illuminated interior, with light green and white finishes helping to create an uplifting feel within the building. 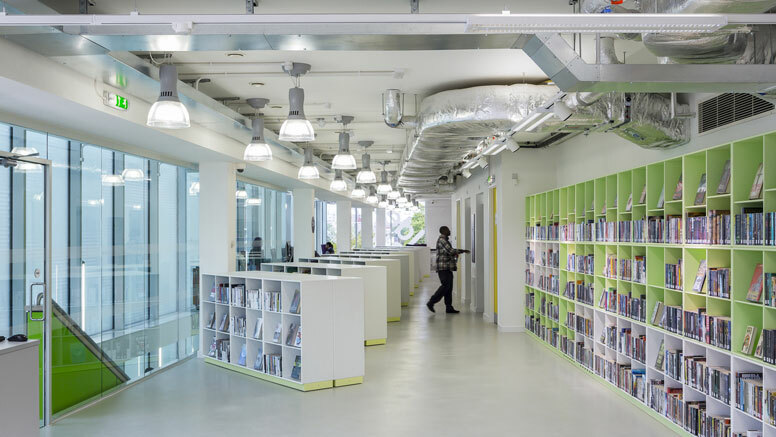 Internally, the Idea Store is designed to be highly flexible; the ground floor ‘marketplace’ can be used for a range of different services and partners. 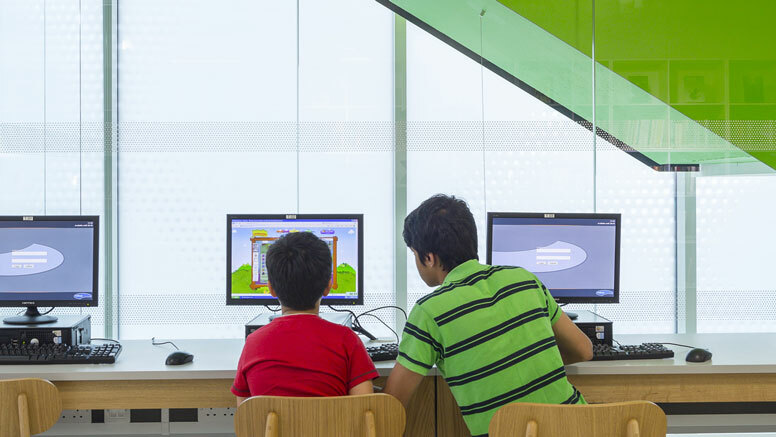 The green feature staircase and service cores are the only fixed elements of the building; all fixtures and furniture are moveable, all services visible and it is evident the user comes first. 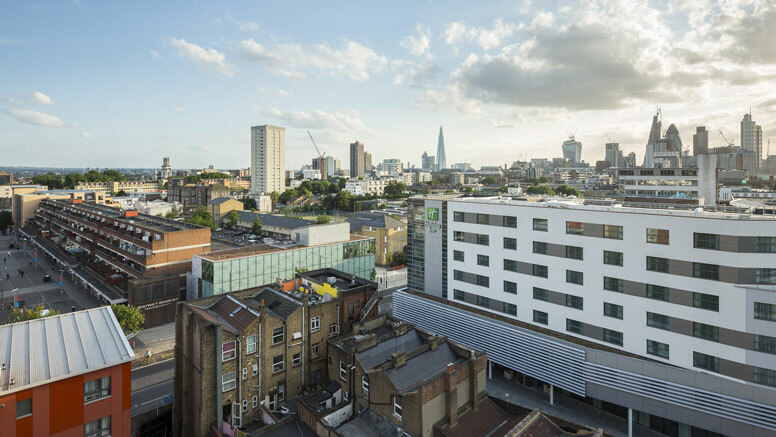 The new Idea Store is distinguished by its ‘green’ credentials; it is one of the first public BREEAM Very Good rated buildings in Tower Hamlets, featuring a living green roof planted with vegetation that will absorb rainwater, provide insulation and create a habitat for wildlife. 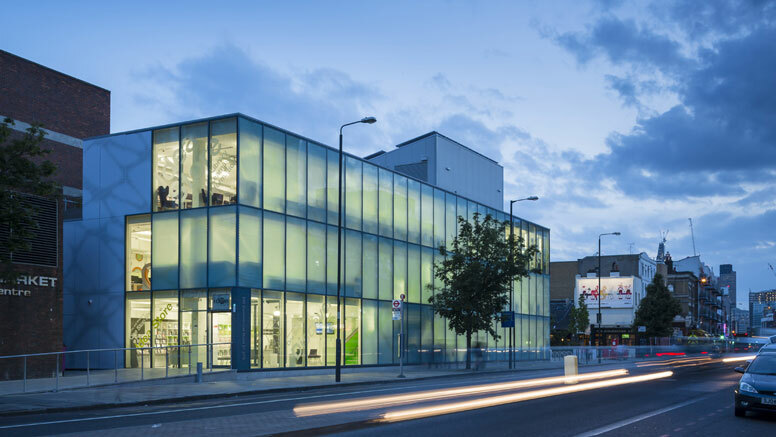 Since opening in 2013 the Idea Store in Watney Market has proven highly popular with the local community and continues to further the success of the ‘Idea’ brand, which has gained international recognition.